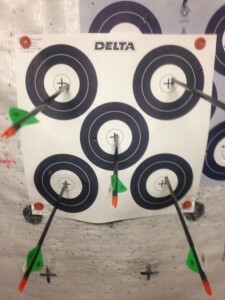 I finished my morning practice with the same six arrows with which I’d started. This was pretty easy because I’d shot paper, a 3D deer and the distance was 20 to 65 yards. I’d not lost any arrows to fallen foliage. During the afternoon I wanted to concentrate on 50 to 60 yards. 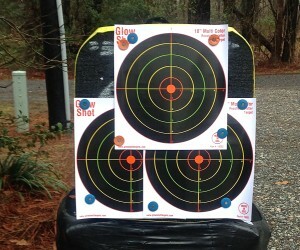 I warmed up at 20 yards then backed to 40 getting a few more warm up shots before getting down to business. With me I had six arrows. The very same six I’d used that morning. I just taken four shots and looked to my quiver for the remaining two arrows. There, for no obvious reason was a nock naked arrow. 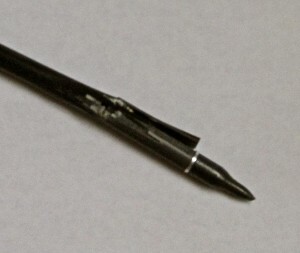 This isn’t the first time one of my arrows has been stripped of a nock. Where did that nock go I wondered? I checked the ground around my target – no nock. I traced the path I’d been walking – no nock. 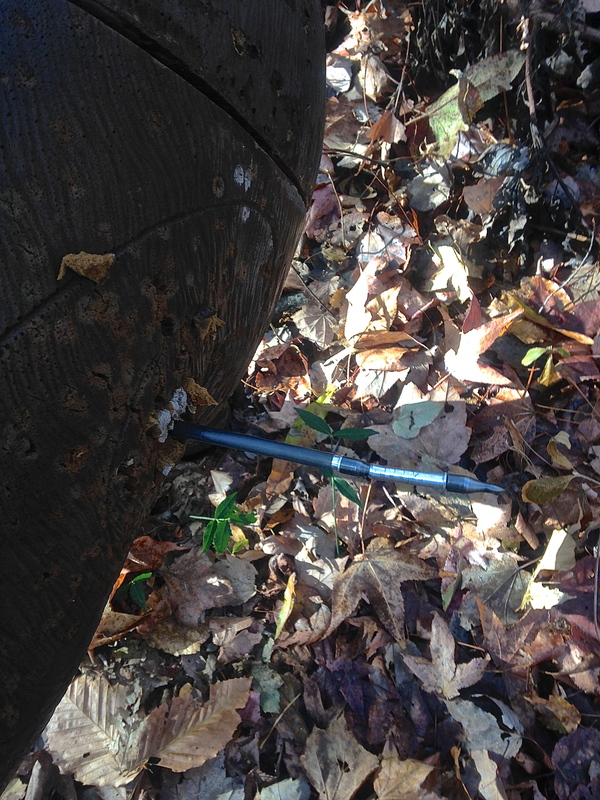 At other times, after checking and loading arrows into their protective tube prior to a tournament, I arrived to discover a no nock arrow. There would be no nock in the tube. It’s like socks that vanish in the dryer. Is there a fissure in the universe that absorbs both nock and sock? The physics of a universal fissure is beyond my comprehension. That is more up Stephen Hawking’s avenue. I can’t blame this on theft by a Yeti, I’d have noticed a Yeti. I am singling out garden gnomes gone wild as the culprit behind my missing nocks. 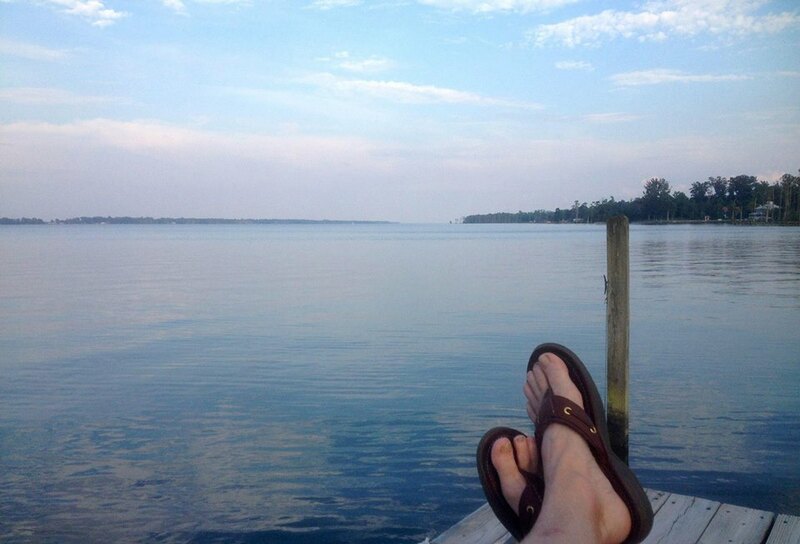 One of the most difficult days of training is the rest day. Today is a rest day. Yesterday was an active recovery day that tapered into a day of complete rest from archery and running. 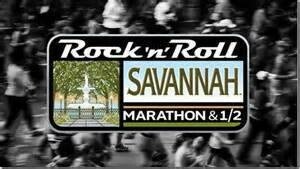 Having a number of tournaments and a marathon on my near calendar sitting still makes me anxious. To make matters worse, the weather is perfect for shooting and running. I choked and shot a few arrows. One out of every five or six missed the X. My arms and shoulders are tired and sore. 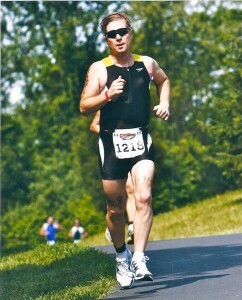 This is when injuries occur – I know that from cycling, running, and swimming. Over the past ten days I’ve followed my training plan. After 15 arrows, I knew I had messed up. 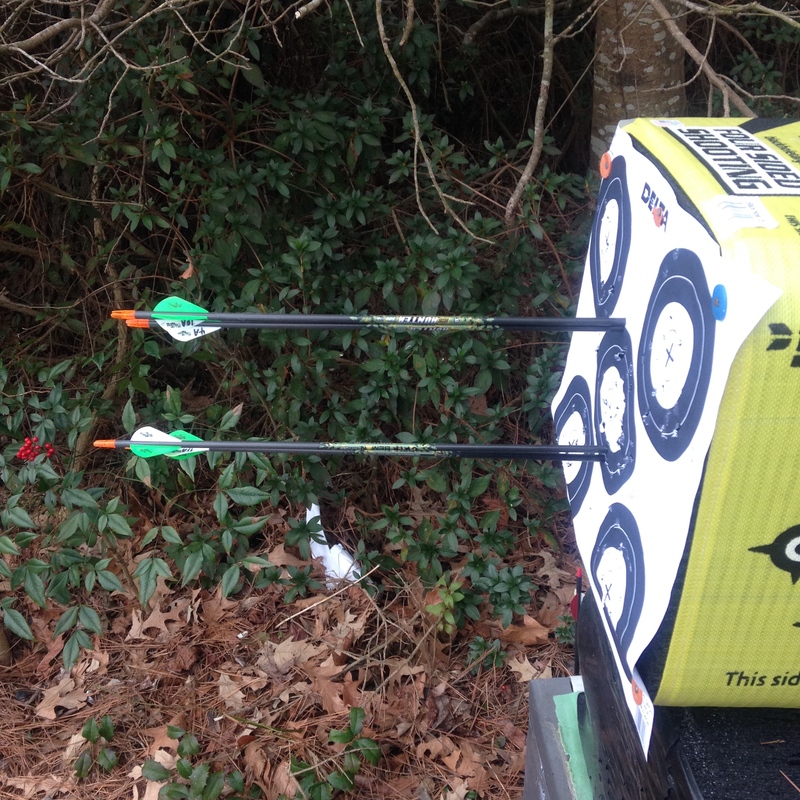 Missing an X on a 5-spot at 20 yards with no wind is in part due to fatigue. Even though I wanted to continue I cold feel the soreness. Days like this it’s hard not to work out. But, I know better and decided to put down my bow and take it easy. Today training was a 6.2-mile run and an easy day of shooting. Neither session was difficult and would have been simple minus the cold and wind. The temperature during my run wasn’t that horrendous. 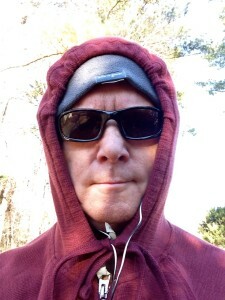 At 30° F (-1° C) while wearing warm clothes this is not a difficult run. In the afternoon I’d have a short workout with my bow. Both sessions, would not have been a problem except for the wind. All day we had white caps coming off the river. After running all I wanted was a hot tub in which to thaw. The wind had cut through my running apparel as if it weren’t there giving my convective heat loss a very personal impression. Along the run, River, my dog heedless to the cold broke through iced covered creeks in order to play in the water. Following the run she even jumped into the river. I suppose it is a Labrador thing. Shooting was another matter. I’d only be shooting for only 15 to 20 minutes. Like all sports, archery needs recover time. For this workout I’d be shooting from unknown distances into a foam deer. It also meant I’d have the house to help block the wind. Despite the house’s blockade the wind was a chilling factor. Unlike my home in Maryland I don’t have access to an indoor range here in North Carolina. There is an advantage to being able to step outside and shoot. On cold and windy days – well I take the good with the bad. 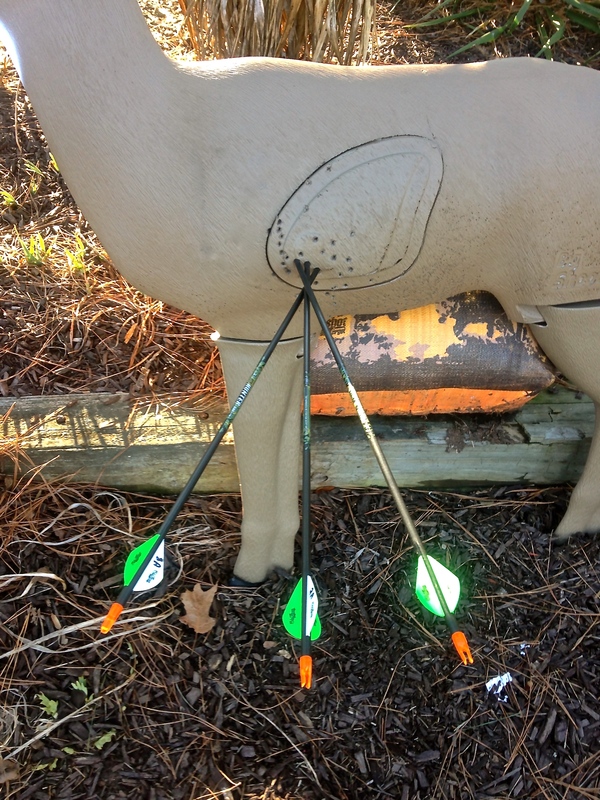 In December I contacted Mathews about their ProStaff requirements. Their advice was to establish a relationship with my Mathews dealer and enter their ProStaff program through their archery dealer program. This presented a bit of a problem for me. 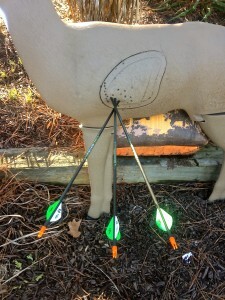 Eager to find sponsors but living in two states and spending a lot of time in three, Maryland, North Carolina, and Georgia, means I dealt with a number of bow shops. Fortunately, one of my favorite shops, a Mathews dealer, is Terry’s Archery Plus in Ernul, NC. I’d only been to Terry’s a few times. There I met Terry Lewis and found him humorous, pleasant, and extremely knowledgeable. 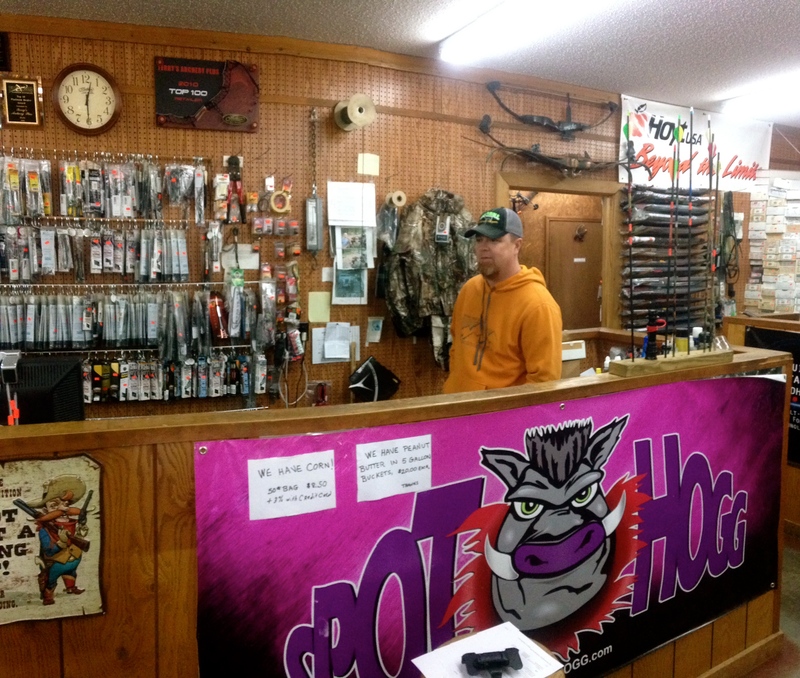 As a matter of fact, one my first trip to his Archery Pro Shop, he took a phone call while we were talking. Apparently, the caller had questions because his response into the phone was, “Well, you’ve called the right place, I have lots of answers.” His wit was not lost on me. Since then, I learned Terry has a big heart and a bad hip. 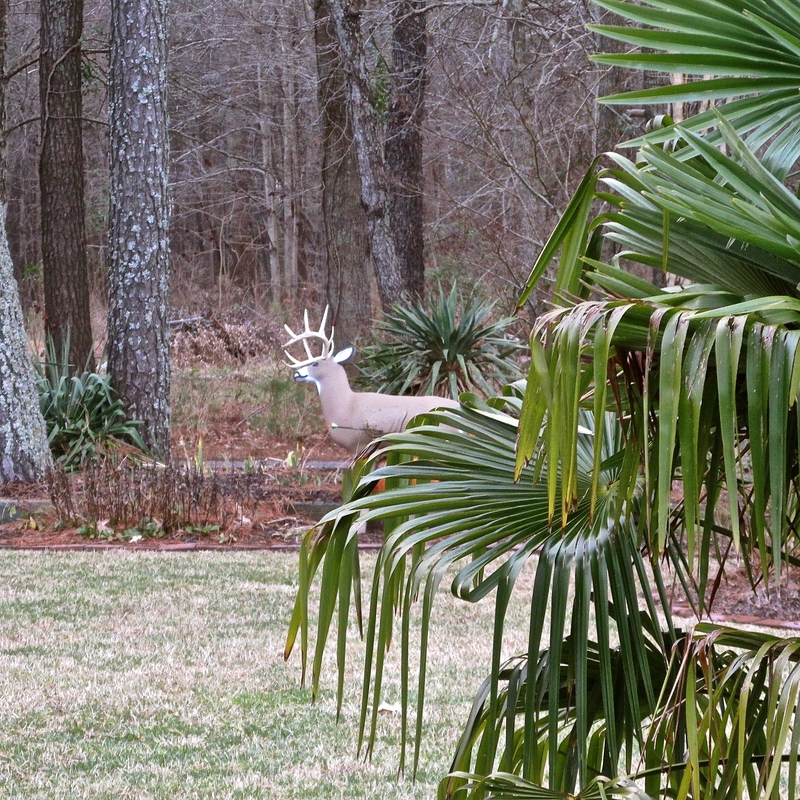 Back to December and my Mathews dilemma – I called Terry from my home in Maryland and explained the situation. When I was in law school I learned a number of things and one is to be direct with questions. I asked Terry if he knew about the Mathews program and if so could be help. His response to me was similar to the one he’d given to another caller months ago, yes he knew and he had answers. One of his answers was that he’d be happy to help me. On Thursday, we met at his shop for the first time in over a month. 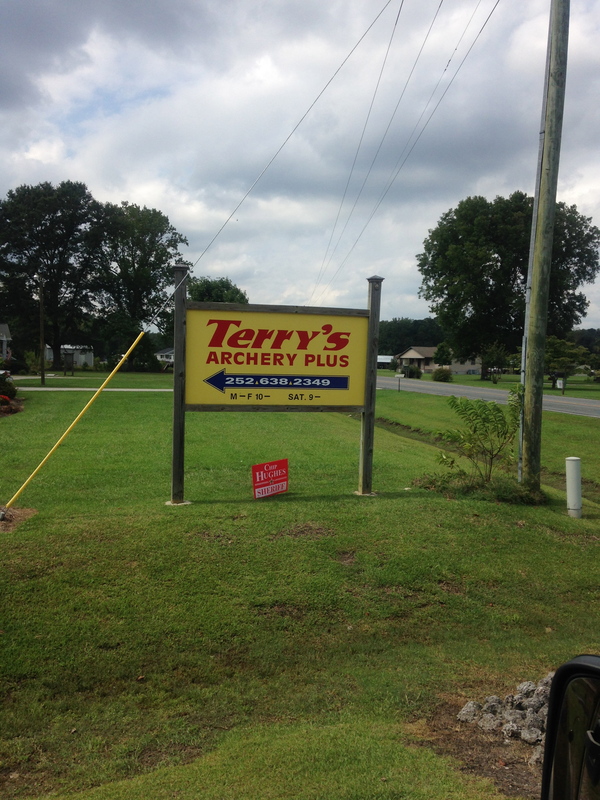 When I arrived Terry had several customers. Since we last spoken we’d gone through holidays, hunting, fishing, 4 archery tournaments and the ATA. At his shop in Ernul we visited for nearly two hours. I really didn’t want to leave, but I felt I was using up his time. While talking with Terry I’d learned about local tournaments, contingency money, the Mathews No-cam bows, large vs. small diameter arrows, peep diameters and metal roof chicken coops. When I left I took a foam deer, loaded in my truck, for practice. 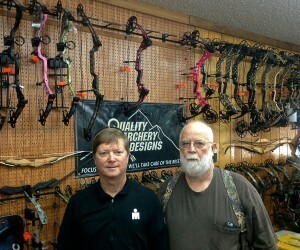 I am happy to write that I will be shooting for Terry’s Archery Plus along with my other sponsors. Thanks, Terry! 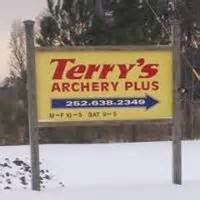 It is my good fortune to have two new sponsors, Terry’s Archery Plus and Flying Arrow Archery. Please, check them out along with my other sponsors: Rudy Projects, BRL Sports Nutrition, 60X Custom Strings, and Tridave’s, LLC. I do my best not to break arrows. It still happens. There are precautions I take to help prolonging the life of my arrows. A dozen new Bemans doesn’t last long. Recently I bought a dozen Beman arrows from Cypress Creek Archery in Maryland. The arrows were Beman ICS Hunter 500s. These are the arrows I’ve been shooting for the past year. They aren’t very pricy and I decided to use them exclusively after shooting up a half dozen Easton Fat Boys. The shiny new dozen Beman arrows have been reduced to a mere eight. I lost two to a Robin Hood. It was an unlikely shot. Typically, I don’t aim for the same spot twice in order to protect any arrow that has hot the mark. In this case I shot an X at 35 yards. Then, I backed up to 50 yards. 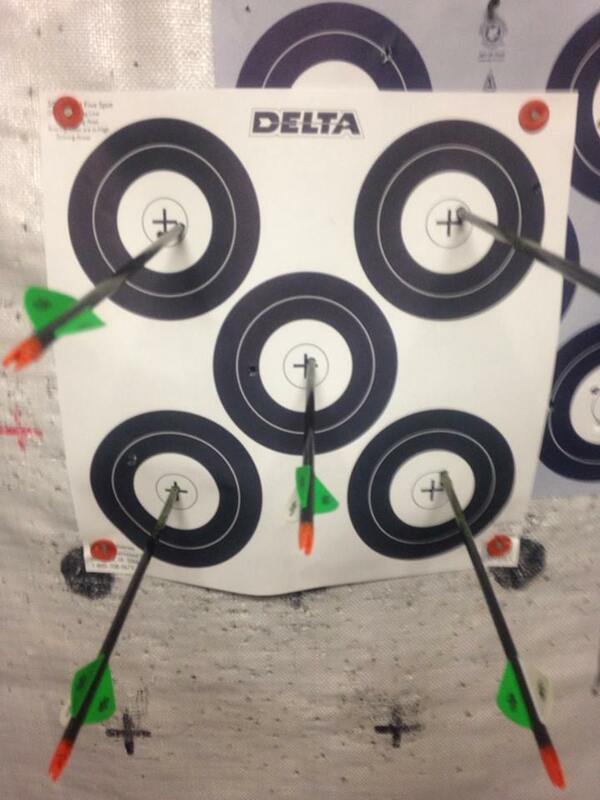 Even though I was aiming at the same X the 15 yard difference ought to have made hitting a Robin Hood unlikely. I heard it before I saw it. Two arrows gone. When I practice on a 30 target 3D range in Maryland I shoot once from the hunter class stake and once from the open class stake. Still, I’ve lost arrows in this fashion. Several weeks ago, I shot a foam pig. It was a good shot, a “pin-wheel”. When I pulled the arrow from the foam, the insert and tip became dislodged inside the pig. A day later, shooting on the same range and on that pig, I hit the hidden insert, Robin Hooding it with another doomed arrow. The odds of that are so remote to seem nearly impossible. The impact was enough to create creaks in the carbon fiber of the unfortunate arrow making it unusable. 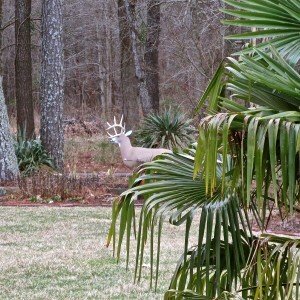 In North Carolina I have one 3D target. While practicing on it today I moved from around trying to create random distances from which to judge yardage and practice. Moving around means different angles for arrows and hopefully reducing my odds of breaking them. No way to break an arrow this way…. Shooting from the left of the animal, I moved center, then right. I shot from about 23 to around 34 yards. The arrows were crossed meaning no chance of a Robin Hood. But, as I pulled an arrow it felt funny. The first arrow had gone in from the left. The third arrow from the right. The arrow shot from the right hit the arrow shot in from the left piecing it. It is frustrating being down to eight arrows. In February I have three tournaments. Between now and then I am likely to break at least 2 more arrows. At this rate I could enter 3 tournaments with only six arrows. Plus, I have to practice with those arrows. I’ll need to buy another dozen. Worse case is I end up with 4 arrows before the month is out unless I make the purchase. What is tough is no one near me sales the Bemans I shoot. I look forward to the day when I have an arrow sponsor. During my business career I wrote a lot. That writing included more than 120 medical and scientific papers, two books, and a number of monographs. I also participated in writing patents, preparing regulatory affairs documents, contracts, business reports, and all manner of marketing papers. 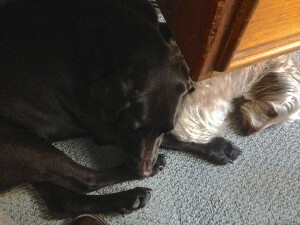 My staff hard at work. Today I still write a lot. On this website I’ve published hundreds of posts and articles. I have two archery manuscripts “in print” meaning they will be published in a magazine soon. None of this would be possible without my ever diligent and hard working support team. In February I have three tournaments. One is 3D and the other two are shooting dots on paper. The paper shoots will be against 3-spots. 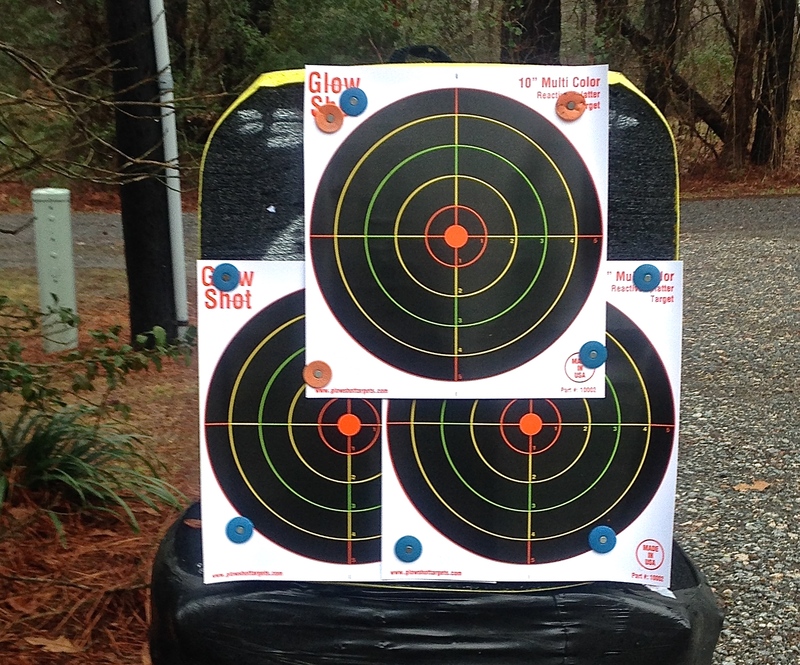 When we left Georgia to return to North Carolina a couple of weeks ago, I forgot to pack my few 3-spot papers targets, and they remain in Tignall. I needed to practice shooting a 3-spot and didn’t have a one here in Hertford. But, I had a lot of rifle targets. There was one tiny problem. The orange center of the rifle targets, which is fine when shooting pins, was a problem with my target bow. 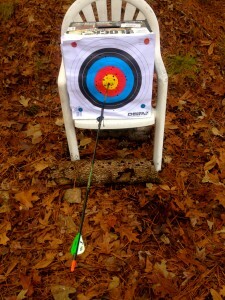 My target bow has a SA Scope with a small black dot in the center of a lens. The orange of the targets is surrounded by black. There was no contrast to set the scope’s black dot apart. What I’d do was put the black dot on a segment of white. Then, move that dot, which disappeared while crossing the black segment of the target, toward the orange. When the orange went black I held and tried to make the shot. The field of vision had to be entirely black to hit the center. That worked fairly well but I did hit a lot of nines and eights. Out of curiosity and because the returned rain began to pick up, I grabbed my hunting bow that has an Axcel ArmorTech sight with pins. I wanted to see how pins would fair against this three spot. Yep, as I expected, it was easier to find the orange. The rain finally forced me inside. Tomorrow is supposed to be a better day for shooting. For now, I’ll rest my shoulders and try to figure out another way to make a 3-spot. Yesterday morning I shot from 20 to 60 yards. From 45 yards and further I removed my yardage stakes and practiced judging the distance. At 60 yards I was a tad off.On my first two shots I hit high. I’d seen through my binoculars the first arrow was up. To make sure it wasn’t my sway I fired off a second, which smacked into the first. Two shots too high. Yes, I see the litter on the ground. I’ll pick it up. So, I did was anyone would consider, I raised my sight. The first shot was a bit low. To verify, once again, whether or not it was sway I shot a second. The second smacked into the first. Two shots too low. In 3D so much depends on getting the distance right. After 50 or 60 arrows I stopped for lunch. If the rain holds I’ll practice some more in the afternoon following a bit of recovery for my arms. Hopefully the afternoon shots will be just right. 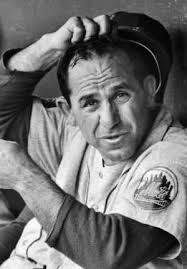 “90% of the game is 50% mental’” Yogi Berra. Shooting, like other sports, requires practice. Practice isn’t simply heading to a range and firing away at the target. For each session there should be specific goals, physical as well as mental. Then, there are those days where mental breakdown leads to really dumb shots. When that happens, it is best done during practice not in a tournament. Last summer, in a 3D tournament, I had a momentary lapse in brain. Seriously, my brain seemed to have been totally elsewhere. I’d approached a target. It was a shot I felt, I knew I had the 12 (it was an ASA tournament), and my confidence was overwhelming. I went through my form, alignment, drew, aimed, and then dry fired by bow. I’d never in my life dry fired my bow. I didn’t even know what had happened until my brain returned. Yesterday, I had a very specific mental exercise I’d planned for practice. I was excited to give this technique, as explained by sports psychologist Gary Mack, a try. I’d gathered my bow, the target was set, quiver and arrows on my hip, binoculars hanging over my neck, baseball cap on, and my Rudy Project shooting glasses donned. I looked the part and felt the part. Setting up for the shot, I worked through establishing my form, added the mental bit from Mack’s lecture, found the X and fired. The arrow went high. Not a little high – HIGH. It sailed over the target. Obviously, something was wrong. I repeated the process with another arrow. Exactly as before the arrow went high. Again, not a little high but over the entire target. It was like deja-vu all over again. Then, my brain caught up with my body. The day before, I’d been shooting longer distances. My last round was at 50 yards. The two high shots were from 20 yards. My brain decided let me know I’d not adjusted the sight for 20 yards and had been aiming for a 50-yard distance. Yogi was right, 90% of the game is 50% mental. 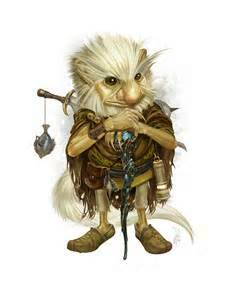 Author David LainPosted on January 23, 2015 February 20, 2015 Categories Archery, FitnessLeave a comment on “90% of the game is 50% mental’” Yogi Berra.